Timing your harvest can be one of the trickiest aspects of marijuana growing. Too soon and your marijuana won’t be very potent. Too long and you end up with an overly narcotic effect and too strong of a taste. It’s true, harvesting can be tricky! However, I’ll teach you some strategies for knowing it’s time. This guide explains the various methods for determining when a harvest is ready as well as what to expect during the harvest process. Keep reading to start learning. Are you ready to harvest outdoors? Harvesting marijuana is a bit like harvesting grapes (or other fruits). The longer you wait, the more potent the grape and the stronger the alcohol. With marijuana, the longer you wait, the more cannabinoids there will be. That means a stronger product. If your plant has flowered and you notice any of these symptoms, the chances are good that you are ready to harvest! Pistils are turning red, and the leaves are turning yellow. Harvest time! There are some basic guidelines for when to harvest, but there is some contention on the precisely ‘best’ time. Just like with fruits or vegetables, it partly depends on your personal tastes. How do you find the best harvest time? My free Grow Bible holds even more helpful info, be sure to download it now! 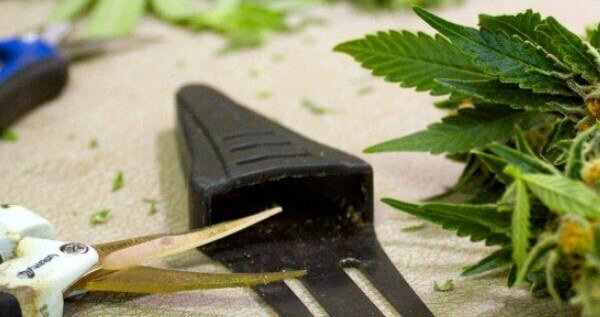 A magnifying tool is the best way to see if your plants are ready for harvest. 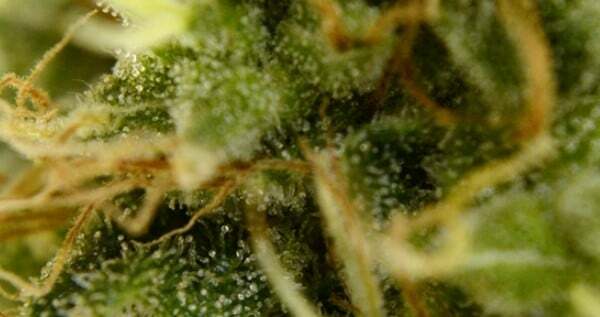 Look for glistening, resin-filled trichomes on your buds, like the ones in the photo below. With the right magnifying tools you can clearly see these details. There are a few magnifying options to choose from. Jewelers Loupe – perfect for those on a budget, this low-tech tool is the least helpful. However, it’s still good enough to provide somewhat of a gauge. Handheld Magnifier – this option steps it up, but it can be cumbersome to use. 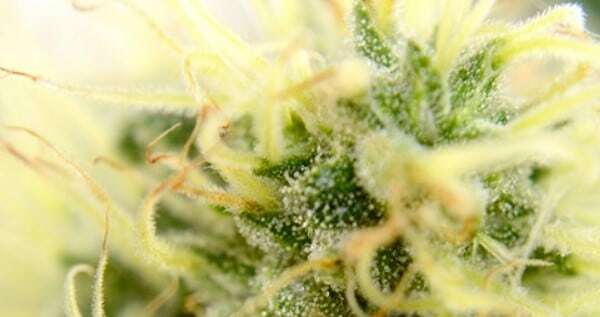 You’ll really need to get the focus right to view those trichomes. 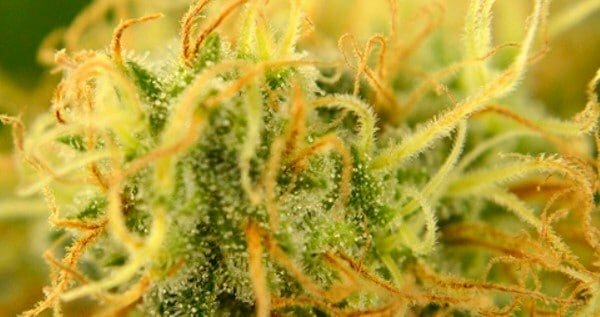 Digital Microscope – although expensive, this is the best option, as it will give you a clear answer as to rather your plants are ready to harvest. The main downside is that you’ll need a laptop to see the results. If you go this route, you’ll definitely need to read the instructions. Keep in mind, all of these options will get the job done, but only if you know how to use them properly. Although a longer flowering period may lead to a greater harvest, letting your plants flower longer doesn’t always lead to optimal results. You must time it correctly. If you wait too long, you could experience an overpowering and unpleasant flavor. You may also experience decreased effectiveness of the active ingredients – and yes, I mean THC! The easiest way to keep from reaching that point is to pay attention to the pistil color. In fact, it is the most common approach. Some growers harvest as soon as the pistils begin to turn red. Others wait until they are almost entirely red, and the resin is dark. As I said earlier, you can examine the resin on your flowering plants to see if they are ready to harvest. Under magnification, the glands will be enlarged and covered in resin when mature. They may also swell and look sort of deformed. That’s exactly when you should harvest. That resin will darken from transparent to opaque amber as it matures. Harvest when the resin is still sticky and transparent. Once that resin darkens and becomes more amber-hued, there’s not much time left before the plant’s active ingredients start to deteriorate. Looking at your flowers is just one way to know if it is time to harvest. You can also simply time it based on the plant’s typical flowering time. As a rule of thumb, all marijuana will be ready to harvest around the same time, with some variation based on the specific strain. You’ll need to know your strain to effectively use this method. If you purchased your seeds from a reputable source (like me) chances are someone else has already shared some ideas about when it is typically ready to harvest. Now, of course, there are other variables that could impact when your harvest will be ready. The specific conditions in your grow room, or outdoor climate also plays a role in the development of your plant. There is no accurate way of deciding when it’s time to harvest. However, there are some guidelines that give you an idea of when it is time. If you are growing an indica plant, you can expect the flowering time to last about eight weeks before you can harvest. Outdoor growers can expect to harvest around the end of September. For sativa plants, the flowering period lasts for about a month longer than indicas, meaning it will take about 12 weeks. That being said, several haze strains will actually flower faster – more like 9 to 10 weeks long. Read the strain description before you order to be sure. Normally sativas will be ready for harvest the end of October. Autoflowering marijuana strains don’t rely on lighting changes, so they are somewhat easier to predict based solely on time. Once you see the first seedlings, you can expect the harvest to be ready in 10 weeks. While harvesting based on flowering time is not an exact science, it can be a good jumping off point for figuring out when exactly to harvest your marijuana plants. It also works well for planning ahead because you can see what your growing season will look like. Observing the pistils is the best and easiest method for deciding when to harvest. Check a bud’s pistils to see what their coloring looks like. If they’re mostly white, it is too early to harvest. If they’re all brown or red, you’ve missed the peak time – harvest right away before the quality of the marijuana lowers any further. 0-49% of the pistils are brown, it is not ready yet. 50-75% of the pistils are brown. Harvest time has come, but it is still early. These will have a lighter taste and mellower high. Waiting might be your best option. 70-90% of the pistils are brown. 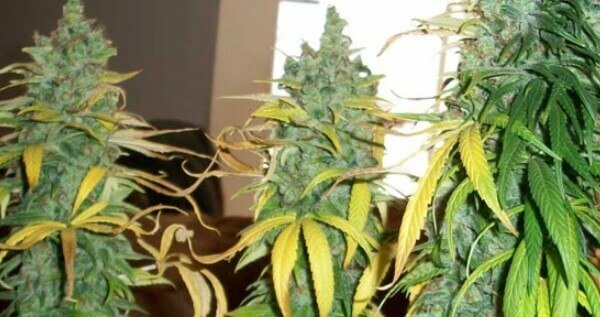 You can harvest your marijuana plants because they are as strong and heavy as they ever will be. It can be hard to wait once those pistils start changing, but trust me, it’s for the best. Once those pistils are ⅔ brown or a bit more, you can safely harvest. Not sure if you prefer 70% or 90%? Experiment and find out. Some new growers harvest their plants at different times so they can figure out exactly when is best for their personal preferences. Keep in mind, some people prefer earlier harvested marijuana as it has more uplifting and lighter effects; while others prefer theirs as potent as possible. When you harvest affects the quality of the resulting buds. Now, what you consider to be high-quality comes down to personal taste. You’ll have to decide. One of the best things about growing marijuana is being able to control this incredibly powerful variable. If the pistil method doesn’t work and you have one of the magnification tools mentioned above, you could look at the trichomes to determine if you are ready for harvest. This method is actually considered the most accurate, so it’s a good idea to know what you are looking for. 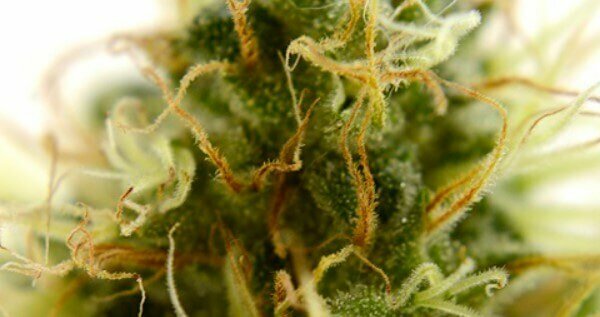 The concept is simple: look at the trichomes on your plants’ buds. Trichomes grow on the buds and look like little mushrooms, since they have a little ball on top. Some of those trichomes are resin glands. They will have a crystalline structure or appear frosty as they grow on the leaves and buds of your plants. Trichones are responsible for the stickiness of weed. They are also where much of the THC and other fun chemicals are housed. When we harvest based on trichomes, we are determining when those trichomes are at their highest THC level. This is difficult to see with the naked eye. This is definitely not the time to harvest. If the trichomes are clear, they won’t be potent enough for harvest, and your final yield will suffer. Wait until nearly half of the hairs are dark in color and not sticking out so straight. It is still too soon to harvest. The buds haven’t reached their full potential, although they will still produce a high if harvested now. This type of high will most likely be more energetic or “speedy.” You’ll get a stronger odor and flavor if you wait, however. Congratulations, you have reached the perfect time for harvesting your buds! This is when they have the highest levels of THC; so, if you want to maximize your yield, you must act fast. You’ll know your plants have reached this stage when 50 to 70 percent of the hairs are no longer white. Harvesting now is ideal. This is when your plants are their most potent. As a result, the high that comes from buds harvested at this time will provide some serious euphoria and pain relief. It will be the most “intense” high you can get. If your plants have made it this far, it is a bit after the absolute peak time for the greatest amount of potency. However, this is only because the buds have slightly less THC and more CBN. If you are looking for a more relaxing, anxiety-reducing high, this could actually be the perfect time to harvest. A high from marijuana harvested at this time will be more narcotic and often result in a “couchlock” effect. You’ve reached this stage when 70 to 90 percent of the hairs have darkened. In terms of the ideal time, try experimenting with harvesting slightly earlier or later to reach your desired results. 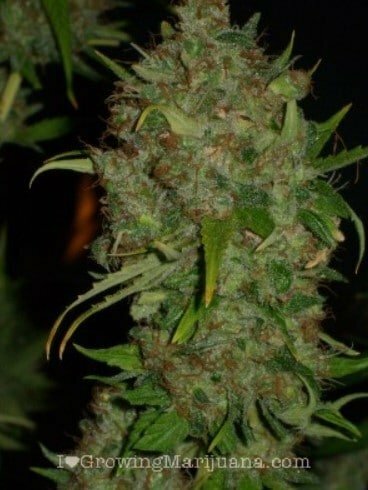 Harvest a few buds during their peak harvesting time and save some to harvest once they’ve matured a bit more. That way, you have a variety of options. Remember to label everything! You don’t want to end up extremely relaxed when you were looking for a more energetic high. So, you’re ready to harvest? Start by removing the lamps from your grow room. Then, hang some wire from the ceiling in its place. You’ll need it for your plants. Carefully cut the plant at its base, then secure it (upside-down) from the wire you just hung. Turn on a fan and aim it right beneath the buds, keeping the humidity around 45% and the temperature around 64 degrees Fahrenheit. Make sure the room is dark, and the extractor fan is running. 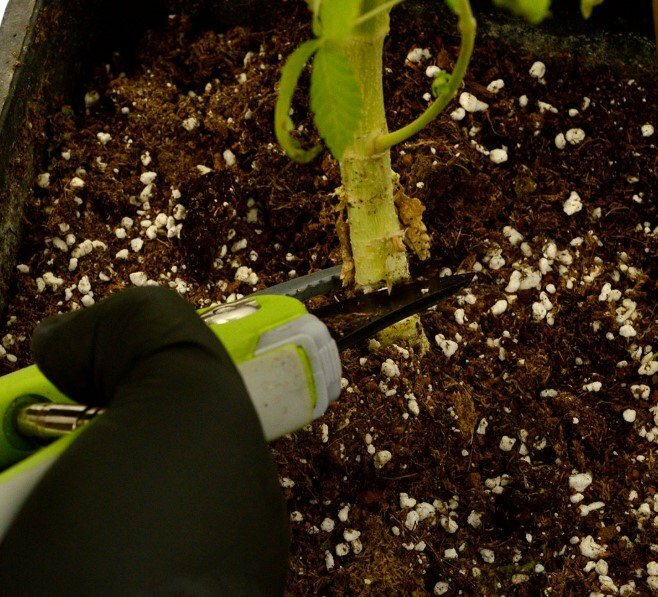 You’ll need those shears for cutting through thick plant matter. The alcohol is for cleaning your tools and hands, as resin can be quite sticky. You’re best off wearing gloves for the cutting process, as it can get quite messy. Once you cut your plants and hang them, the next step is drying out all of the excess moisture. It needs to evaporate from the plant matter while the chlorophyll in the plant breaks down. You don’t want to dry the plants too quickly because it will cause some chlorophyll to remain, which negatively alters the taste of your weed. That is why you keep the room dark and the temperature moderate. You can expect the drying process to last somewhere between 10 and 14 days. Keep a close eye on your plants while they dry. Make sure no mold is growing or developing. (That’s why you keep the humidity low). Maintain the temperature as well. Harvesting outdoors is just like harvesting indoors, except that not planning it carefully would be a serious mistake. In addition to understanding the basics of harvesting, you also need to understand the seasons, watch the sun, and think about your personal security. All those variables sure make outdoor harvest time rewarding. If you grow cannabis outdoors, you will soon find that fall is your favorite time of year. 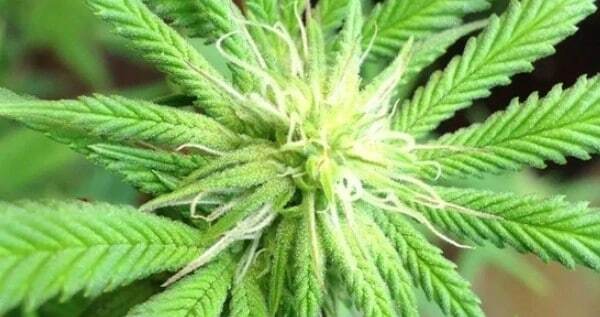 For more on growing outdoors, read this Howtogrowmarijuana article. As an outdoor grower, you’ve monitored the sun throughout your cannabis plants’ life. Watching the sun is key to measuring how much energy the plant receives and for how long. The sun is the most consistent and important element of any kind of gardening. The sun’s role is as important at the end of your plants’ life as it was in the beginning. Once summer comes to a close, start keeping track of the sun (if you haven’t already). 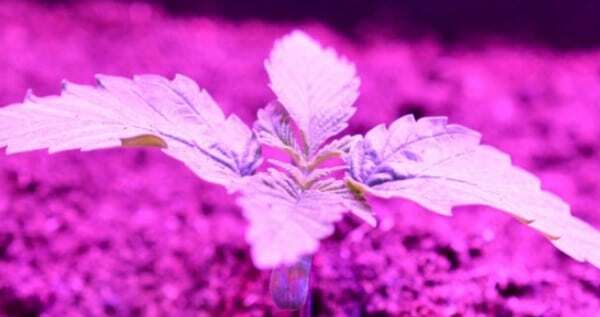 You’ll need to pay attention to the amount of light it is providing to your cannabis plants. Fundamental for your plant, the sun! During the middle of the summer, your plants are probably receiving 14 hours or more of sunlight. In the northern hemisphere , there could be 15 hours of continuous sunshine around the 21st of June. When August becomes September, the amount of sunlight decreases dramatically. For instance, in September you could lose as much as 90 minutes of sunlight per day. This rapid loss in daylight is exactly what causes your marijuana plants to change their energy focus to flowering instead of vegetation. This strong reaction is no accident; all plants have the strong ability to distinguish day from night. So, when summer becomes fall, and there are only 12 or 13 hours of daylight per day, the flowering process initiates within days. How do you know how much sunlight you’ll get? The best way is with a grow calendar. Once you know when your plants will flower based on the sun, it’s easy to plan for your harvest. Although the amount of sun that your plants receive is easy to measure, it’s not as easy to monitor the darkness. That is because marijuana is sensitive to all types of light – even artificial lights. In some cases, it will react to light pollution in the same way it would natural sunlight. In the case of indoor growing, this is a good thing, because you can manipulate your plants to produce buds exactly when you want them to. However, for outdoor growing, it means ensuring your plants do not receive uncontrolled artificial lights. This is why you never plant marijuana near street lights or any other form of artificial lights. Your plants need properly dark nights like they would experience in nature during the fall. If they do not receive enough darkness, flowering could be delayed. Once flowering begins, it’s time to start planning your harvest. you’ve probably been looking forward to this time for months. You have managed to keep your plants happy, healthy, and secure during the whole season, and now you can reward yourself with a high yield and a good harvest. Just like with any other step in the process of growing marijuana, there are some tricks to harvesting outdoors successfully. You do not want to ruin everything due to a silly mistake. Keep an eye out for the signs, so that you can avoid potential mistakes. The last thing you want is a complete failure after getting through an entire growing season. You must time your harvest correctly. 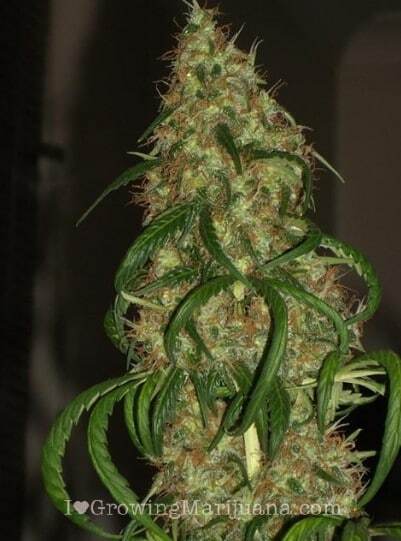 If you are feeling eager and harvest too early, the potency, as well as the yield, could be greatly reduced. If you are too hesitant and wait until after the plants’ peak time, the potency decreases. As soon as the flowering phase begins, start paying attention to the sun’s timing and strength as it correlates with the seasonal changes. Then, keep a close eye on the details to determine when your plants are at their perfect harvesting time. When in doubt, be more patient. Do you have enough time and security to cut the plants on site? Will you need to dig up and move the entire plant? How will you transport your cuttings or plants? These logistical questions will make a huge difference when it comes to harvest security. Whether you are growing indoors or outdoors, your plant will provide some signs that it is ready for harvesting. In addition to looking at trichomes and pistils, you should also consider the weather. Ideally, you’d want to harvest outdoors on a dry, calm day. No one really enjoys harvesting in the rain. In terms of your plant, pay attention to the leaves and buds. The physical characteristics of the plant will change considerably, letting you know it’s time. 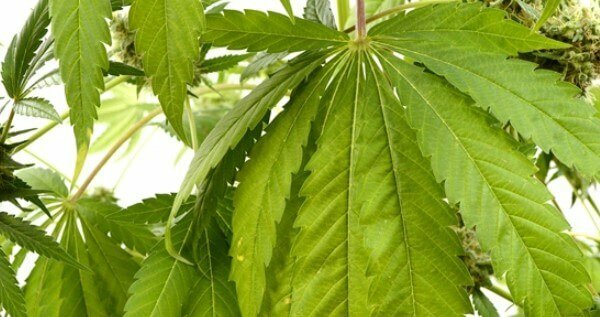 The larger leaves will turn a yellow-brown color signifying the slow death of your marijuana plant. The stigmas of mature plants will wither at the base of the buds while remaining a healthy white color on top. Another sign; one with a bit of latitude; is the color of the marijuana buds themselves. It is a good idea to pick them at the first sign that they are losing their rich green color. If they turn brown, (a sign that they’ve withered a bit), the buds will smoke more harshly. The one benefit to waiting until you near the point of the leaves turning brown is that the resin glands will contain more resin. Some people don’t mind the harsher smoke since they bargain that they are receiving a stronger, more intense high. This is a personal decision that gets easier after you learn more each successive harvests. 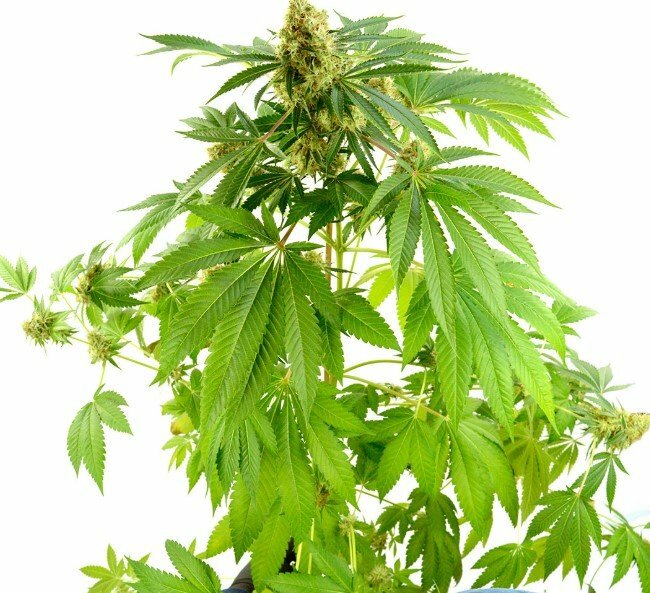 The decline in sunlight causes your marijuana plants to mature. 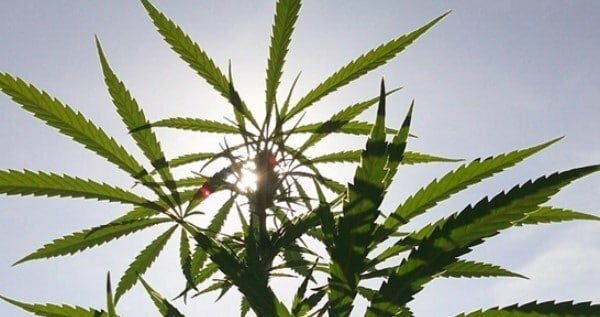 Depending on where you grew your marijuana plants, and whether they were started indoors and then replanted, the sun will be the most important predictor. If you grow in an area with four distinct seasons, this change will be easier to see. Marijuana plants will not typically flower unless they receive at least 12 hours of darkness a day. Indoor cannabis growers can harvest more often because they control the light. The trade-off for the outdoor grower is receiving more in less frequent harvests. If you only have a few marijuana plants, it is sometimes possible to cover them completely and induce harvesting, through a process called light-deprivation. However, this advanced technique isn’t used by every outdoor grower. The light and darkness factor works both ways. Some growers will actually shine very bright lights, like halogens, on their marijuana plants during the night to reset the internal clock. This is useful if you want your plants to grow in size and not begin flowering. In Australia, some Sativa varieties can grow to 16 feet with internodes around 3 to 4 inches in variety. Obviously, a plant of that size will produce a huge harvest but getting it that size requires a year-round growing season. A marijuana plant will keep growing big if it has enough sunlight. All the grower needs to do is prevent the plant from flowering until it reaches the desired size. You can harvest twice in one growing season. Some cannabis growers, like those in many parts of Australia, Hawaii, and the southern parts of North America, often do this. They can naturally harvest twice per year because the sun provides plenty of light all year long. In these places, marijuana plants grow large, and flower as if to reproduce naturally and then begin again. But since they are already quite large, and have plenty of leaves to catch the sunlight, the second harvest occurs in much less time than did the first. For everyone else, however, plan on removing your marijuana plants by the end of summer, before the onset of the first frost. Did you know you can do two harvests over the outdoor season when growing autoflowering plants? Living in an area with plenty of light isn’t the only way to have multiple harvests. 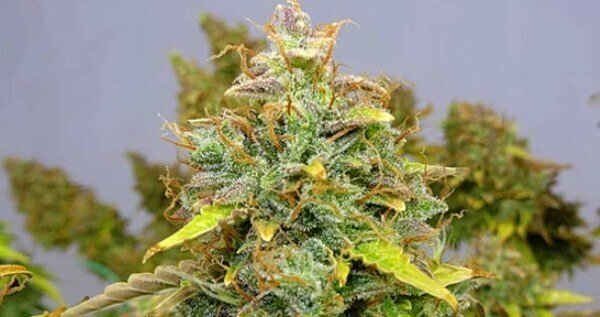 You can also try buying autoflowering marijuana seeds. These seeds will produce plants that are ready to harvest in only 10 weeks, when is plenty of time to harvest two times in most climates. 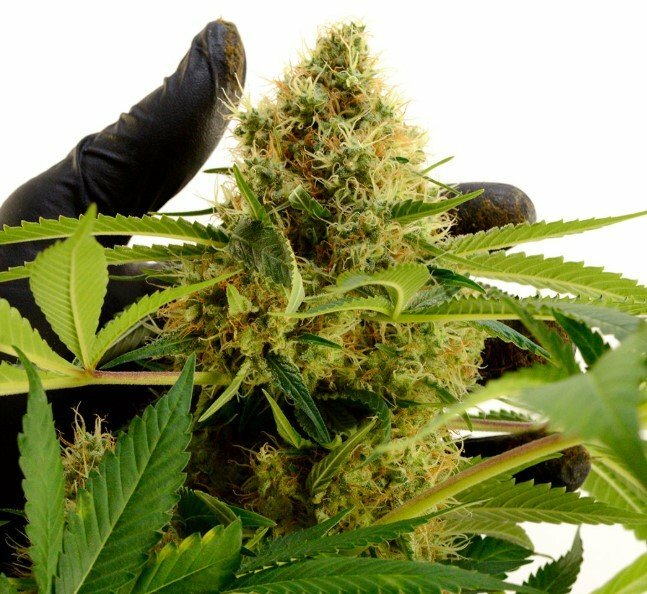 Growing autoflowers doesn’t automatically mean you can harvest outdoors twice in one season. You’ll also need to follow some specific techniques and live in an area that can support two harvests. In other words, your success depends both on how well you perform these techniques, as well as where you live. In northern climates, where cannabis plants are vulnerable to an early frost or other seasonal changes, a second harvest will not be easy. But in more temperate zones where early fall is fairly mild, you might be able to successfully harvest more than once during the growing season. It all depends on your technique. You can’t harvest plants normally once and then later decide you want to try a second harvest. You must plan this. The process of harvesting multiple times in one year starts before the first harvest. To stimulate a second harvest, start by removing the mature buds, leaving the tiny ones and most of the leaves intact to continue growing. Then resume the growth cycle by adding lots of water and some fresh fertilizer. Want a great strain to try? Blueberry is, with good reason, one of our bestselling autoflowers It’s purple color, and fruity taste are hard to resist. Get some Blueberry seeds for your next grow. When you add water and nutrients, you are triggering your cannabis plants back into their flowering phase so that they produce more buds that you can harvest. If you leave most of the leaves, you will have a higher chance of activating the second flowering phase since they are what absorbs the sunlight that the plants need for growing energy. This only works in certain climates. If the timing and intensity of the sunlight have already changed, the plants would already be in their flowering phase. If you are living in a place that has mild temperatures throughout the beginning of fall (such as in tropical climates), then you should be able to continue your plants’ vegetative phase even longer. If you aren’t using autoflowers, multiple harvests can be triggered using light manipulation. It doesn’t take much either; simply shining a light on the entire plant a few hours at night with a flashlight will work. 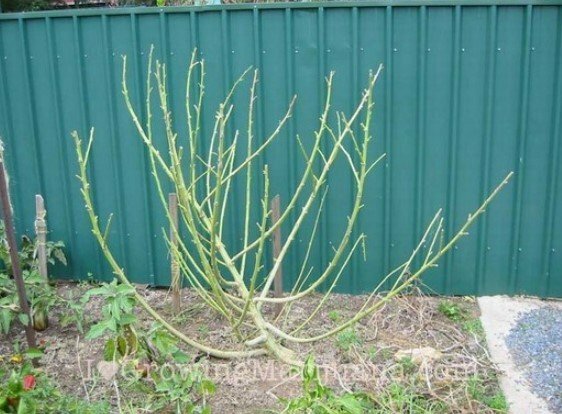 If you have successfully interrupted the period of darkness normally required for the flowering stage, you can start it back up again once you have more buds. When you want the plants to begin their second flowering phase, simply stop interrupting the darkness with your light. Keep in mind that flowering takes a couple weeks, so don’t keep the plants in their vegetative phase for too long. For instance, if the first frost or colder weather will be there within two weeks, then you should have already started up the flowering process three weeks prior. Want a quick date to base your final harvest on? How about the September Equinox? It’s not a clear rule, however, so don’t blindly harvest on this day. You’ll still need to look for other signs. The equinox does provide a good date to stop watering, though. Start your regular watering schedule a few weeks before the September Equinox. As the date gets closer, look for differences on your cannabis plants. It might mean they are ready for the harvest. Flowering should stop soon as well. When growing outdoors, you should be most concerned about the flowering period. It is, in fact, the most important part of choosing the correct harvest time. Expect six to twelve buds per plant once their flowering phase begins due to decreased light. It will start slow but then increase rapidly (like when you make popcorn). As more buds appear, existing buds will also continue to grow. Once you notice the rate of bud production decrease by a lot (like when the popping rate decreases in popcorn), the flowering phase is complete. Mark your calendar for one week after the last day of the flowering period. That is when the plants have reached their growth potential. Once again, the popcorn metaphor can be useful to explain what’s happening. If you leave the popper or microwave on for too long, the kernels will start to burn. Even if some kernels remain unpopped, you turn off the microwave. The same goes for marijuana plants. 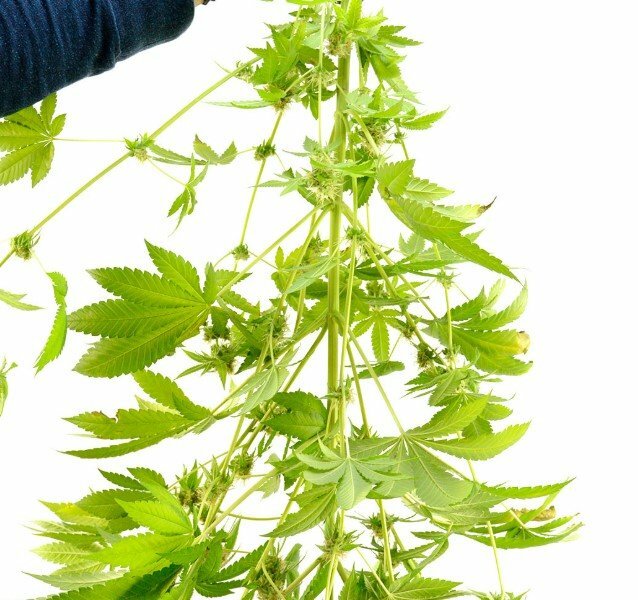 Although you might be missing out on a couple new buds, letting it go for too long will have worse consequences in terms of the entire yield. You never want to jeopardize the first few buds to get a couple more. Knowing when to harvest is one challenge, but you also need to think about security. Overlooking your personal security is as bad as timing your harvest incorrectly. In terms of the authorities, it’s very hard to deny the fact that you own the plants if you are caught in the act of removing them. Therefore, you need to be extra cautious the days before and on the day itself. Don’t inform a single person that you are about to harvest, and on the actual harvesting day you should be extra careful about telling people where you are. 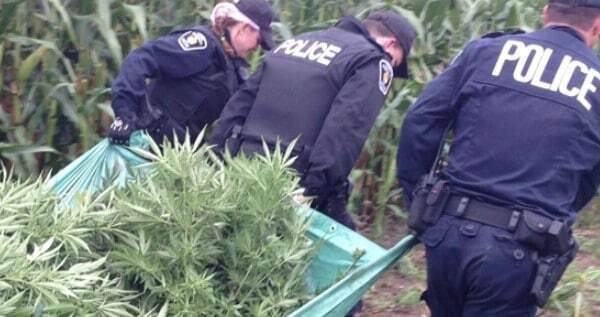 Up until harvest time, security is mainly a matter of diverting unwanted attention away from your marijuana plants. All of this changes as the flowering period ebbs, because now you must concern yourself with your actual yield. In this situation, cannabis growers have been known to resort to some very elaborate and even over-the-top means to protect their buds from prying eyes. When it gets close to the harvest time, you must keep an eye on your plants. Some growers sleep near their” babies” the days immediately leading up to the harvest. Others set up a trip wire that rings a bell if anyone approaches. If their site is close to a home, they might keep a dog that barks a lot outside all night. Other growers take an even more proactive approach by watching known entrance routes like a hawk. It should be no surprise that growers may be irritable, cranky, and extra paranoid at this time. However, with a year’s supply (or often, even more) of cannabis at stake, can you really blame them? In addition to securing your route, you also want to think about how you will transport your harvested plants. You could try putting the plants in sealed bags to help mask the smell. You should also consider having a friend go first, to ensure the route is clear. Have your drying room ready to go before you harvest your plants so you can safely begin to dry them as soon as you get there. You want to be careful whenever you are growing outdoors, but it is especially important to do so during the harvest. Chances are your grow was discovered way earlier in the season and someone is merely waiting for them to finish flowering. 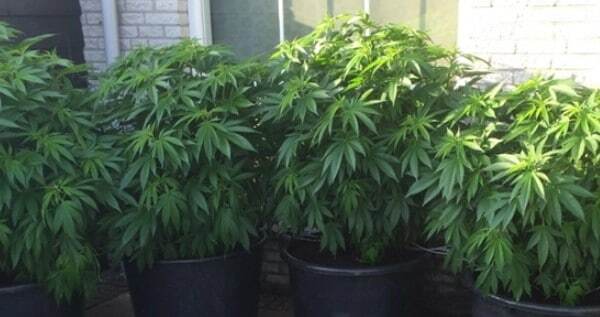 It is not unusual for marijuana plants to be staked out by potential thieves who are waiting for them to grow big buds so they can reap the benefits of your time and effort. 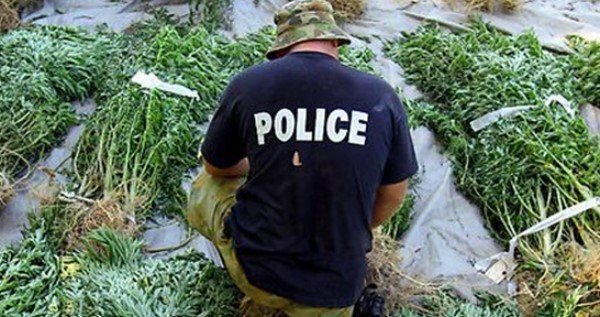 The police could have detected your grow weeks ago and are waiting for you to walk into a trap that you have unwittingly set. When you show up at your site with shears, bags, and a backpack, it is hard to claim ignorance. If you suspect that something is wrong, don’t ignore that. Instead, relax and walk away. After all, it’s just marijuana; it is not worth going to jail or getting into a fight about. So, you’re ready to harvest outdoors? Start by bringing sealable bags. If you bring something like ziploc bags, make sure to bring a darker bag too, because ziplocks are transparent. (These bags are not transparent and are odor free). Cut your plants into lengths that are easily transported. For example, cut the stalks, so they fit into your bags. Make sure you are not spending too much time at your site when harvesting; be efficient and fast. Just remember: all that matters is the removal and safe transport of your plants; however you do that is up to you. Make sure your harvest outdoor is done a safe amount of time before the first frost has a chance to damage your plants. It is best to harvest on a beautiful fall day with clear skies and lots of sun. Don’t overthink this, however, as harvesting in the rain won’t be the end of the world. Rain will increase the drying time only by a fraction, and it will have no effect on the buds and resin glands. Don’t relax until you’re home safely with all of your plants. Once you have accomplished this, you will have very little to worry about from that point on. There isn’t a black and white way of being able to know what your yield will be like ahead of time. You can identify a few signs that will give you a basic idea of whether the yield will be really good, decent or poor. All of the factors that you have already worried about (sunlight, water, and soil) will have an impact on your final yield. You can guess at it a bit, though. For instance, if the plant is five feet tall, you should get a minimum of between two and six ounces of bud. Taller and bushier plants will produce more, of course. If you wait until after the peak harvest, you can expect a significantly smaller yield. Whether you are growing indoors or outdoors, harvesting your marijuana can be a daunting task for beginners. With this guide, you’re well on your way to harvesting with confidence. Thanks for reading. Please leave comments or questions below and don’t forget to download my free 70-page guide, the Marijuana Grow Bible, if you want to learn more about growing this magnificent plant. How do you know how much sun to expect? An almanac has this type of information. You can also find it online. 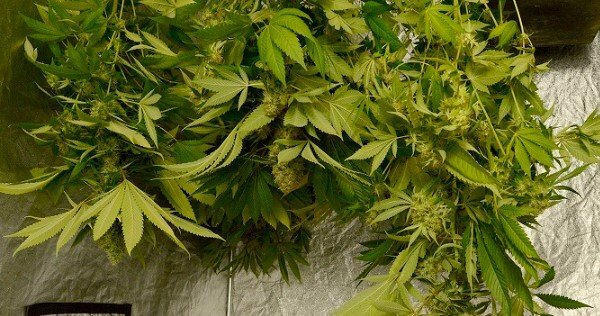 If you’d like something specific to cannabis, try my Grow Calendar. Is there an optimal time to harvest your plants? For the optimal amounts of THC, it’s best the harvest before the sun has reached its peak. For some, that means dawn, while others prefer to harvest at night. 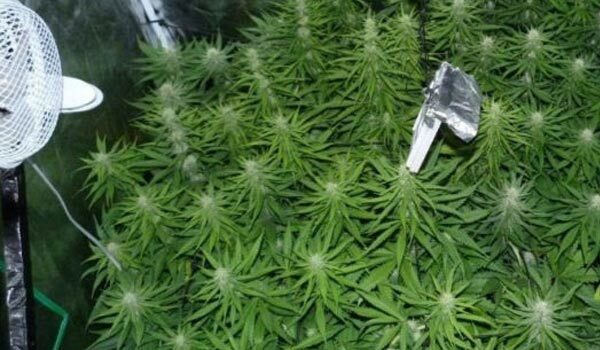 How soon before harvesting should you flush your plants? You should flush your plants about two weeks before the end of the flowering stage. For more on the flowering stage, read this article. What do I do with my harvested plants? After the harvest, you should immediately dry your plants, so they don’t go bad. For long term storage, cure your harvest. 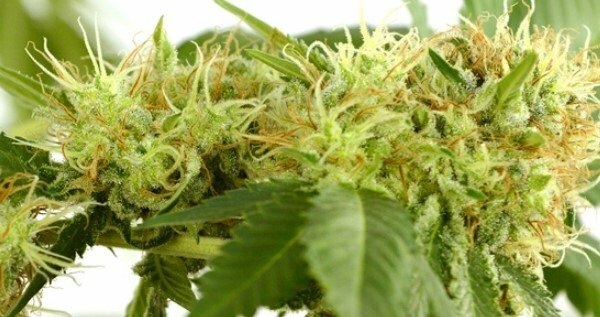 To learn how to dry and cure, read this article. Do indoor growers need to be concerned about security? 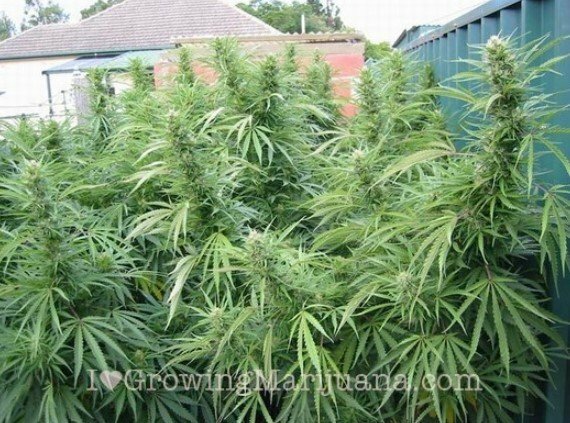 In many places, it is legal to grow marijuana. Where it isn’t, indoor growers should use discretion. Plus, thieves steal whether it’s legal or not. 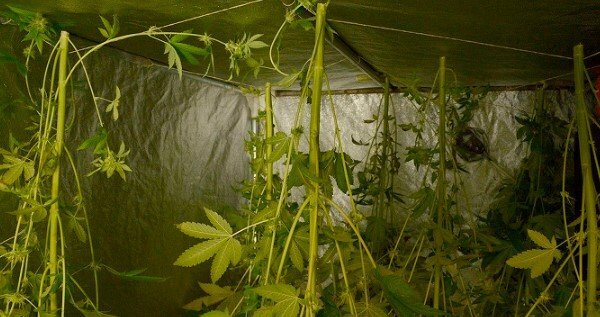 For tips on creating a secure indoor grow room read this article. I wanted to know if I can send you a picture of two plants of mine. I don't know what is wrong with them the leaves are curling/abnormal and maybe you can help me figure out the problem. Hey Sam check out our symptom checker to identify your marijuana Plant Problems or/and join the support forum, for direct contact with expert growers. You can post pictures there. You may have rust mites. They were an epidemic in our grow this year. I had fungus gnats that made my leaves do that...also I am now using earthworm castings for all my nitrogen needs! I used the earthworm casting also. I also put real worms in my soil. Great tip Cheri, thanks for sharing! You can also take a fairly close picture with an Iphone, then enlarge the photo. Trichomes show nicely in magnification. We cannot judge as to when you should harvest. As explained; Harvest time is judged by the maturity or color of the Trichomes. What about the smell all my plants have an awsum smell should I harvest them or wait a bit longer. I can't tell what color the mushroom things are can u help me out,? look for the little hairs you CAN see with the naked eye to turn red or brown...harvest before they all go red or brown, about 75% of them. This late in the season you could be fairly comfortable harvesting now. I have An April grow that’s probably a week away, but if I harvested now, I would be Fine. After harvesting, is it possible to use the same remains of the plant in the ground to grow again the next season? Or do you have to start over with the seeds and germinating and such? my plant is outside and it gets plenty of direct sunshine, with the summer coming to a end should I bring it inside? Its just beginning to flower, or can I leave it outside doing the upcoming months? I thought that resin moved up and down like sap in a tree. So that the time to harvest is early pm whothe sap is up in the plant. Coments appreciated. I've been trying to download the Grow Bible for months now. It just does not download. Please, what am I doing wrong? Hi Harriet, try this link http://ilovegrowingmarijuana.com/marjiuana-grow-guide/, it should work. I was thinking the same thing, way too wordy. Needs to get to the point. I agree, a lot of words with little info. I have been told that when I harvest my plants they say to put the roots in hot water before I hang it.Why is this? Debbi, I have never heard of that in all my years. I shop the bottom of plant off. Hi Debbi,it's was popular in the mid 80ies and was to force sugars and potential resin to to tops of plants.sugar was placed in the boiling pot and did change the colour of the plant after drying. b on You have a minimum of 4 weeks left if growing predominantly "Indica" plant. 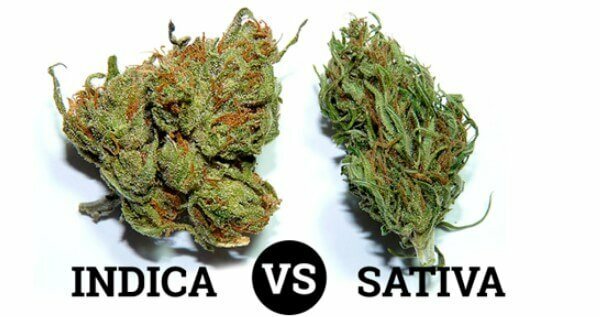 as much as 8-10 weeks if growing predominantly, "Sativa". You are flowering fairly late in the season. My question is, if the buds are starting to get Brown in them, is it harvest time, they look like they are ready, but, this is my first time, they are growing outside? Thanks..
Cut them off and throw away to save buds not molded. You wouldn't want to use them for any thing as you will be ingesting mold which is not good for man or beast. I was wondering is 39 degrees getting to cold for my plants? Debbi, Plants are OK down to 50 f. Between 40-50 f; Plant cells start to deteriorate. Below 40 f; Plant cells start to die. During transition, does the first week of transition count towards the 63 days of flowering? Would someone be kind enough to reply something??? Get the best hyaluronic acid vitamin c serum currently in stock anywhere and reasonably priced. What about auto flowering for earlier harvest and standard for backup? Sid, Sid, Sid... That is what we all do. Autos, Feminized 6 weeks later. Harvest the Autos. 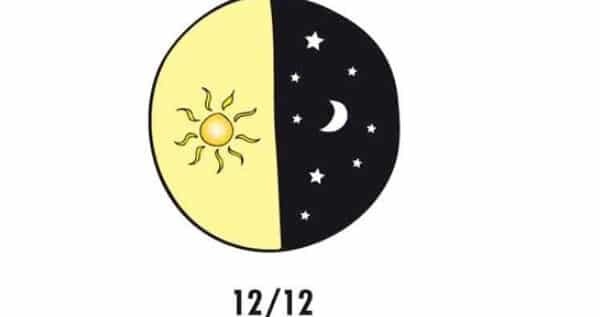 Induce 12/12 for the Fem's. :ds Ir is all good ! There is as much as 90 minutes less light per night. Are you a liberal democrat, with a degree in Aesop? Hi Farmerike, best hop onto our support forum where expert and fellow growers stand ready to help you out! Can l grow 5_10 different varieties without cross fertilization. Do you sell 5 to 10 combinations. Robert, your site is a book of knowledge I don't know why anybody would want to go anywhere else! I think you all must be slightly ADHD or retarded not to enjoy the explicitly of the information provided. Nuff Said!!! I usually just pick a bud and smoke it. If it makes me happy then I'm happy and it's time to harvest! Not all that complicated. 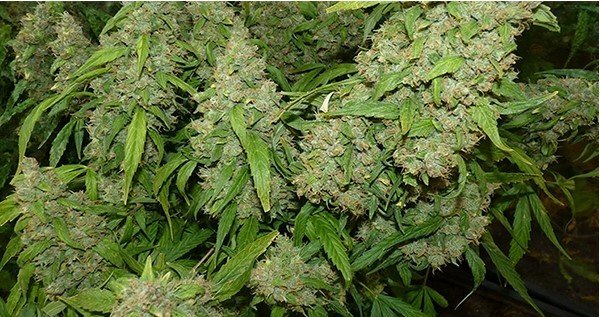 When growing for medicinal purposes, is the best time for harvesting the same as what was described in this article. I am planning to grow my medical cannibus outdoors. However, I may have started growing to late in the season. Can I bring my three plants indoors to complete my harvest? Also, what amount of light (wattage) should I use. Oh, and one more "Amnesia cuttings" Wtf is that? It's beautiful! I hope I didn't harvest too soon or wait too long. I planted in early March, took that baby down today! I wish I could post a pic. This was very helpful information. Thanks. Why do my plants only grow straight up and not bush out like all the pics I've seen? Are you topping, pruning and super cropping during veg stage? You also have to train your plants with a "screen" (string netting) to grow sideways during flower stage. If you do these things, your girls will bush out. I had the same problem today. I just cut out the rot and left the rest to dry. My bud has red hairs , but the tricomes are clear . Should we be harvesting? very nice site with intelligence and knowing the closest timing to start thinking its time to harvest your girl thank you sooo much for your information. Free harvesting guide never came through? Please contact the Customer Support for the Harvesting Guide! What a great site. Thank you so much! I noticed a typo: This is no accurate way of deceiding when it's time to harvest but it gives a an idea. I looked it up and it is spelled "deciding". I've been trying for a few years now to download your Grow Bible. I've yet to receive it. This article is very important especially for those who are growing cannabis. This in very informative. Thanks for the info on when to harvest. Since I live in Canada. I just need to make sure no one else harvest my plants before me. my dark star plant has been on flower time since Jan 18th, but already the stigmas are 50% orange. Is it ready for harvest at just 6 Wks??? Using the pistils to judge harvest readiness is not the best way. 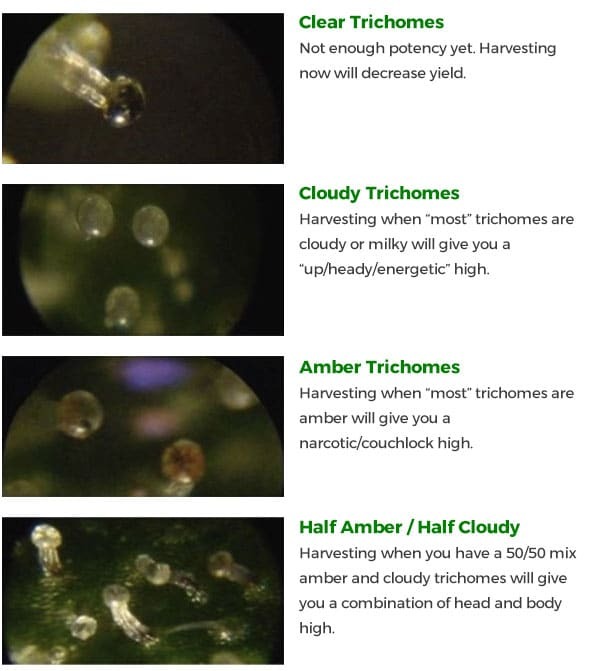 We like to look at the clear, cloudy, amber % of the trichomes. to do this you need a 60-100x pocket microscope or jewelers loupe. Spark. Not sure what you mean. This article is about harvesting, not trimming. We harvest before light in order to save all the goodies available in the resin prior to the lights coming on.